The medium that I use is photo and oil on canvas. 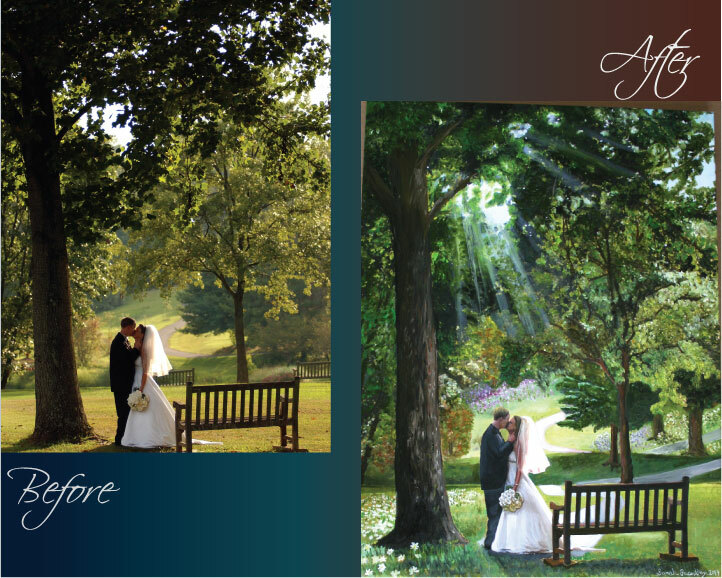 I combine both mediums so that you get the realism of the photo (perfect elements), and the old world style medium of the masters. I can take any photo ranging from a cell phone picture, to a professional high resolution photo and turn it into beautiful custom piece. $100 Deposit is required. When you add it to your cart, then you will only pay the deposit. 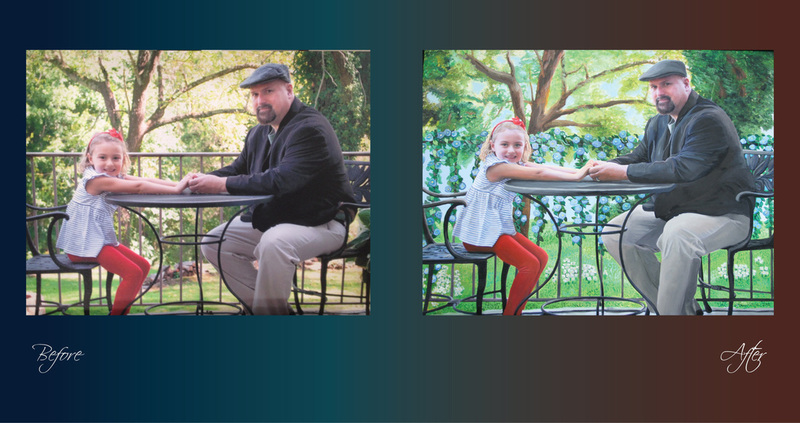 The rest of the payment will be sent in an invoice via e-mail upon completion of your custom oil painting. Once you pay your deposit, then please e-mail me your photo at sarah@mom-ongo.com or vice versa. I can also do landscapes, so you are not limited to a portrait painting. I am currently working on the Bull Run landscape and I will post once it is done. 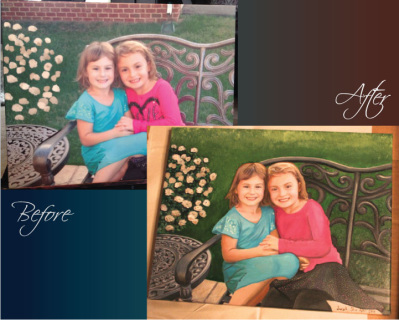 You can add or take away elements in your custom piece. Based on this option, all of my listing sizes are starting prices. 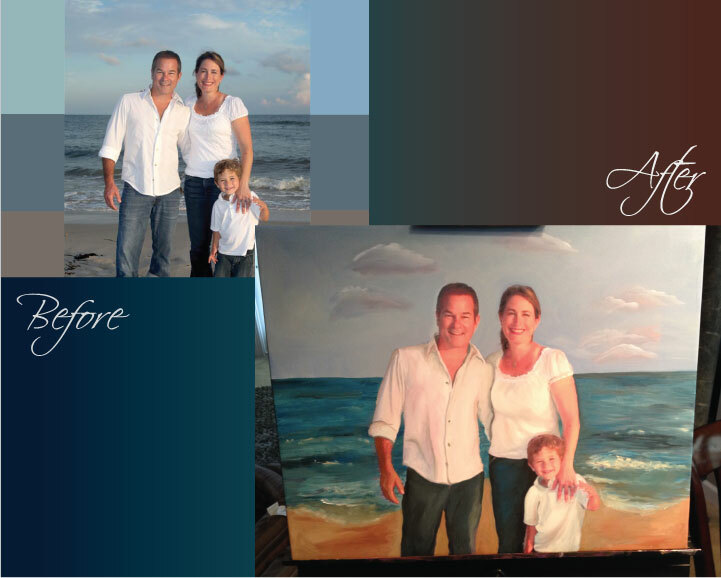 I'm looking forward to working with you in creating your one of a kind custom oil painting! Here is my latest artwork! It's oil on canvas and a reproduction. You can find the original piece at http://leannelainefineart.com - Original by Leanne Laine. This was done for Jessica Martin. Thanks Jess for trusting me to reproduce this piece!! 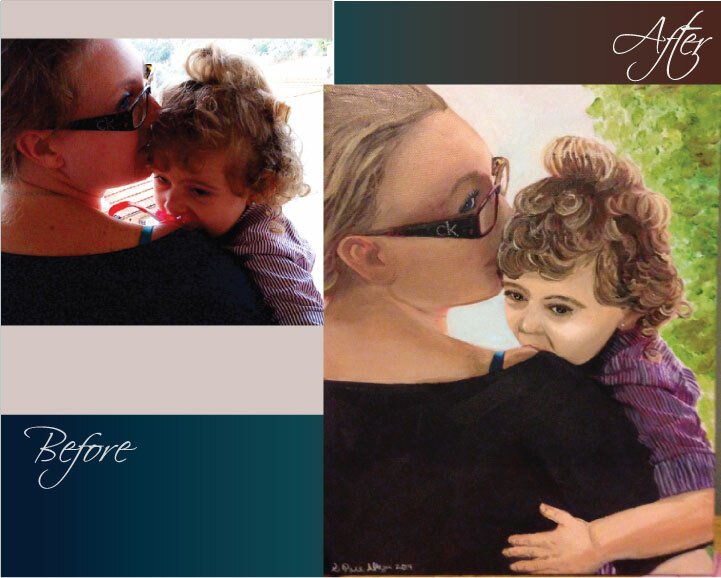 This example was done from a cell phone picture. The rest of the cost will be invoiced upon completion.